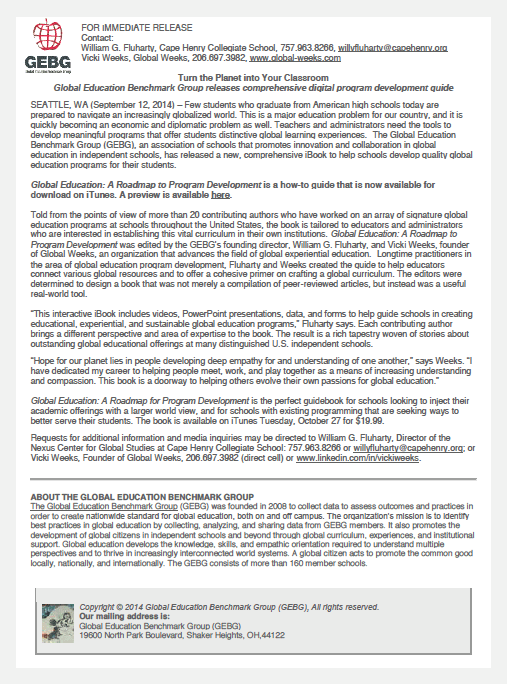 Press Release for Global Education: A Roadmap to Program Development eBook! Don’t forget to follow Global Weeks on Facebook, Twitter, and LinkedIn! Next → Next post: How Should the Ebola Crisis Affect Your Global Programs?